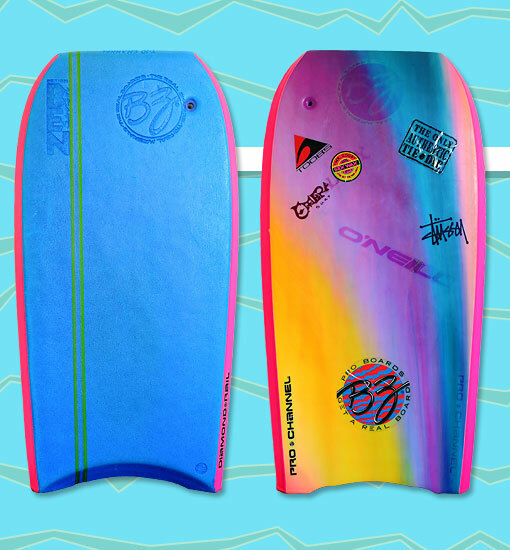 Ben Severson’s groundbreaking signature model had already ushered in a new generation of high performance bodyboards in 1990, but the board took on a legendary status a year later with the addition of T-10 Channels for more bite. It was simply the best board that money could buy, and riders were willing to pay exorbitant amounts in exchange for unparalleled performance. The second generation T-10 had a non-slick tail. Arcel core, flat rocker, 50/50 slick rails. The Ben T-10 was truly a tube riding masterpiece. Photo: Josh Royston.